On behalf of UNEP, the United Nations University Institute for Environment and Human Security (UNU-EHS) and the Global Water System Project (GWSP) will jointly manage the scientific process towards the International Water Quality Guidelines for Ecosystems (IWQGES). IWQGES will focus on water quality conditions that sustain healthy aquatic ecosystems and their functions. Human population growth, accelerating economic activities, land use alterations, and climate change increase pressures on the quality and quantity of global water resources, and threaten freshwaters as well as ecosystems. Declining water quality has become a global issue of concern threatening to cause major alterations in water use, ecosystem health, functioning and biodiversity it underpins. The Millennium Ecosystem Assessment (2005) notes that aquatic ecosystems are deteriorating faster than many other natural systems. Biodiversity loss, for example, is highest amongst aquatic species. While international guidelines already exist for drinking water, recreational use, irrigation, livestock, and water reuse, among others, comparable international water quality guidelines for ecosystems are still missing. In recognition of the increasing challenges caused by deteriorating water quality, UN-Water established the Thematic Priority Area (TPA) on Water Quality in 2010 and entrusted UNEP to coordinate it. 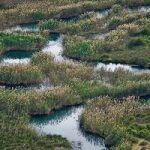 Moreover have the UNEP member states, represented by the Governing Council in February 2013, adopted a decision to “[…] develop International Water Quality Guidelines for Ecosystems […]”. The project “Developing International Water Quality Guidelines”, IWQGES, has been set up together with three other UNEP activities to implement and fulfill the requirements of the decision of the UNEP Governing Council. The activities in response to the decision of the Governing Council thus have the mandate of the UNEP member states. As the flagship output, IWQGES´ progress is tracked with great interest. The aim of the IWQGES project is to develop a set of scientifically-based policy guidelines, enabling transnational, national, sub-national authorities to improve the sustainable management of their water resources and aquatic ecosystems. The guidelines will focus on water quality conditions that sustain healthy aquatic ecosystems and their functions. It is additionally aimed to draw linkages between the provisioned services and respective uses. These guidelines are intended to be global in scope and relevance, although a strong focus will be in assisting developing countries in their efforts toward improved protection of their aquatic resource base. Therefore primary emphasis will be given to the environmental, hydrological and climatic factors, as well as to the potential water uses, prevalent in these countries. While water quality related problems threaten the health and functionality of aquatic ecosystems, these guidelines will not be restricted to chemical, biological and biodiversity related aspects. Water quantity, its adequate spatial availability, its temporal distribution, the morphology of water bodies, and the maintenance of environmental flows are critical factors co-determining the health of aquatic ecosystems to sustain biodiversity and their potential to provide and support essential ecosystem processes and services. Therefore, issues of water quantity will be also addressed in the guidelines to-be. The IWQGES are aimed to be based on sound scientific evidence and to have global scope. They will however not be a substitute for standards to be established and enforced by sovereign state authorities, by intergovernmental bodies or through international conventions to be observed within their respective jurisdictions. Although the guidelines will be global in scope, different spatial scales and ecosystem levels may need to be utilized to define regionally-relevant thresholds. However, due to limited baseline data about the health and functioning of ecosystems, and due to the lack of, or sparse, monitoring networks in some remote areas in some regions, it is expected that some recommendations may have to be based on best professional judgment, rather than on observational data. In this context, it is also expected that the guidelines will identify the need for more comprehensive and targeted monitoring programmes and further research. Within the first phase of the project, until June 2014, a team of 8 internationally recognized scientists will develop the first draft of the guidelines. An International Review Committee as well as stakeholder consultations will support the work of the Drafting Team. Scientific communities and institutions are invited to contribute. The work on the guidelines is further aided by a local IWQGES project team in Bonn (UNU-EHS) and the Global Water System Project (GWSP). UNEP has the overall coordination and facilitation.